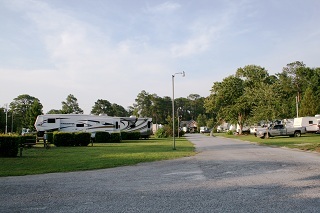 The RV Sites at Parkwood are designed for easy access. 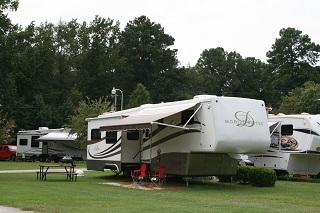 There is no need to unhook your tow with our 30 ft wide, 85 ft long pull thru sites. 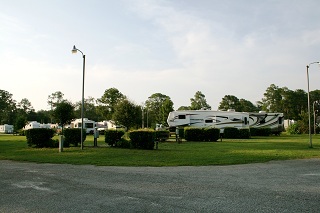 Each of these level sites includes 50/30/20 amp electric, water, sewer, wi-fi and cable T.V.. A swimming pool, laundry facility, bathhouse and clubhouse are available for your convenience. Stay an extra day and enjoy some of the neighborhood attractions including: Splash in the Boro water park, Raptor Center, Botanical Gardens and Museum. When its time to eat, Statesboro offers a diverse selection of restaurants, from local favorites to the national chains you’ll recognize. 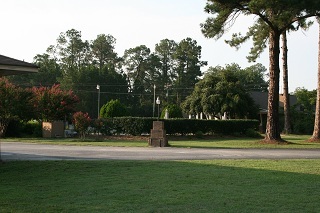 The great atmosphere, conveniences and mild winters makes Parkwood a great option for your winter home.